This weekends 1500m race in Waco TX, was way below my current expectations. As I experienced several times before, the weather in Texas is unpredictable fast changing. Unfortunately, the last few days have shown this again. On Friday, the temperature went up to 80°F but on Saturdays it dropped to freezing 40°F. This followed, that I had to search together all my winter gear for my race and I really hoped, that at least the wind would be gone in the afternoon. This wish stayed unfulfilled and following that, I was freezing on the starting line until the gun went off. The start of the race was really slow, which meant that every athlete had the same order from their coaches: "Do not care about the time, just win the race". The same plan as I had. Since I knew, that there were several guys with a stronger finish sprint in the heat, I decided to attack with 600m to go. With my legs stiff from the cold, this attack was way less aggressive as I hoped to and following that, several guys were able to follow my pace. Until the end, two runners were able to pass me and I finished in 3rd position with extremely slow and disapointing 4:07. Nevertheless, there was still one positive part of this racing day: my post-race interval went pretty well, which made this day a pretty good training session and will help me to achieve my further goals of the season. After several good months of training, I definitely would have preferred to show my current shape and to set a new 1500m PR, but at some days it is just not meant to be. 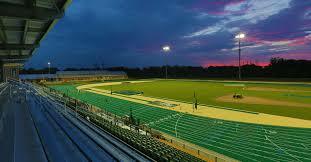 I will have my next chance in less than two weeks, when I will toe the line at Mt. Sac in California.